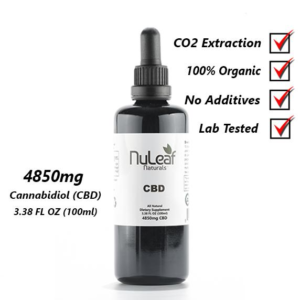 NuLeaf Naturals full spectrum certified organic CBD hemp oil. All natural, non-GMO plants grown in Colorado. Lab tested for quality and purity. CO2 extraction method. Concentrated to 50mg CBG per ml of oil. Bottle sizes range from 240mg up to 4850mg of pure CBD oil.